The Bota Box 2011 Merlot from Manteca California for me should really be renamed “Everything but the girl” box wine. What can I say except that stumbling into a great unassuming box of wine reminded me of days long ago when I first got what it was like to truly appreciate a good full-bodied red, the depth and complexity held much to entertain and went with just about everything. You would think that such a love affair would last forever, but alas even something good can somehow become too familiar overtime that you eventually lose some appreciation even though to this day you can’t put your finger on a single negative trait. 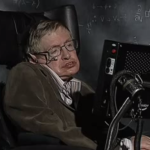 Perhaps you eventually left it behind because you had too much history. With somehow the vintage being mentally linked over time with too many previous embarrassing moments featuring unremembered causes of wine stains from the night before on your carpet or favorite clothes? Or perhaps at the time there were still simply just too many new other adventures still calling you with names such a: Malbec, pinot noir, cabernet sauvignon and Shiraz, still left to try? Whatever the reason(s) how lucky it is to come home again and rediscover something that you had enjoyed so much in the past and found that it could still have relevance to your life. This particular merlot was given a fairly high rating by some of our esteemed contemporaries over at the Wine Enthusiast Magazine, which rated the wine a “Best Buy” and a “Value Superstar”. 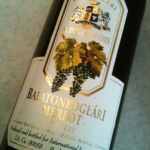 We here at TheWine.biz gave The Bota Box 2011 Merlot 87 points! The vintage also won a gold medal at the 2010 Long Beach Grand Cru. 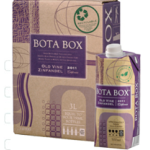 The Bota Box 2011 Merlot is now properly aged and is very much an excellent value on multiple levels. The only real question that remains is that is this the start of another extended run of enjoyment or perhaps just more of the cause of spilled wine? I guess only time will tell if it again becomes more or less a default good thing in your life. Some of my Aussie friends would say that The Bota Box 2011 Merlot definitely qualifies as a good drop of wine, I would have to add that it just naturally knows how to tickle my taste buds in a most pleasing manner. One should be able to pick out the following notes during a tasting: Black cherries, plumbs, currants with just a hint of toasty oak on the finish. 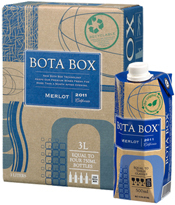 2011 Merlot 3L Bota box is environmentally friendly, won’t shatter and is made from recycled unbleached paper and is 100% recyclable as well, including the glue and ink of the packaging. This full-bodied red pairs very nicely with meaty, rich tomato-based pasta sauces, steak, and prime rib.